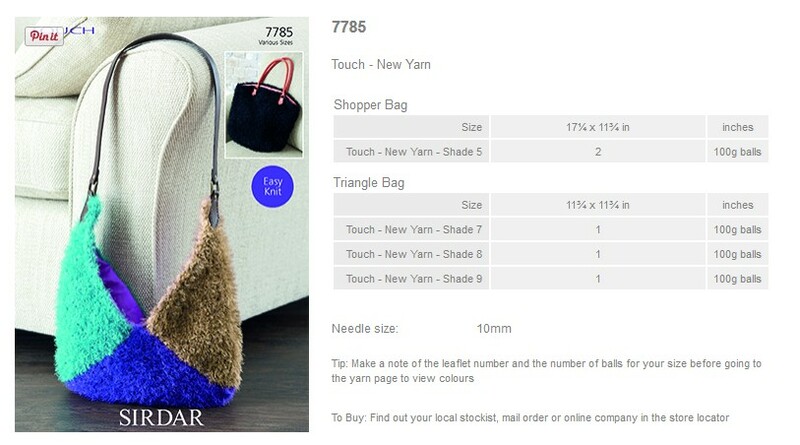 7785 - Shopper Bag and Triangle Bag using Touch Leaflet with designs for a Shopper Bag and Triangle Bag using Sirdar Touch. 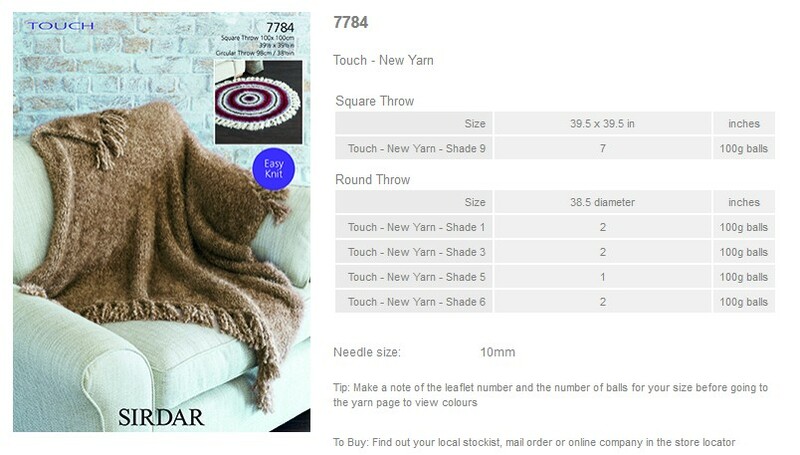 7784 - Square and Round Throws using Touch Leaflet with designs for Square and Round Throws using Sirdar Touch. 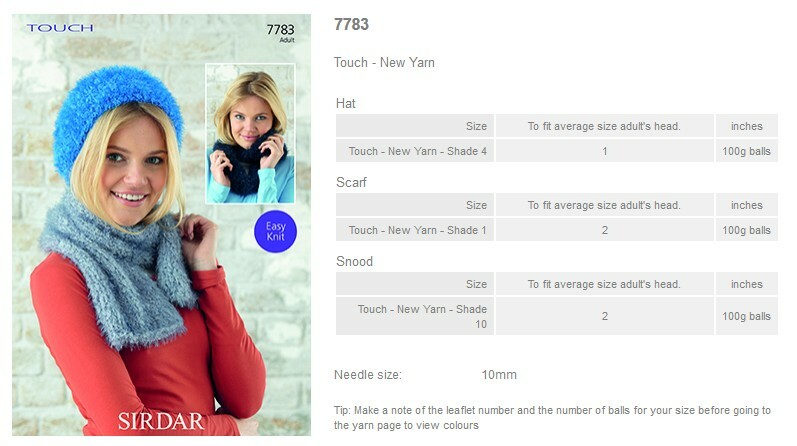 7783 - Hat, Scarf and Snood using Touch Leaflet with designs for a Hat, Scarf and Snood using Sirdar Touch. 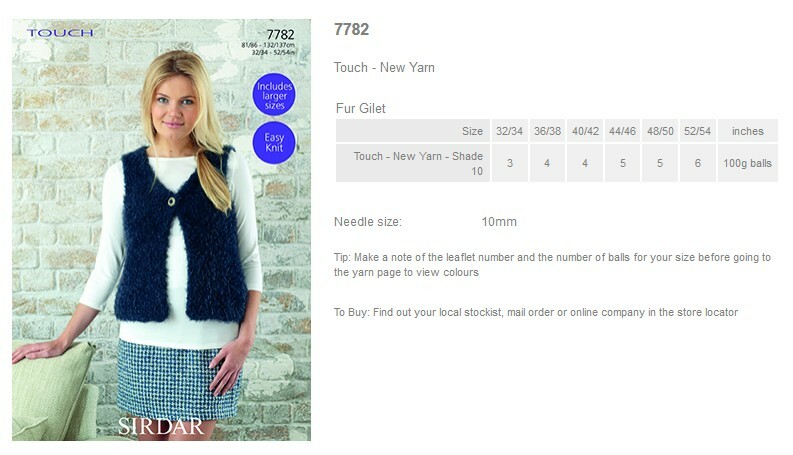 7782 - Fur Gilet using Touch Leaflet with designs for a Fur Gilet using Sirdar Touch. 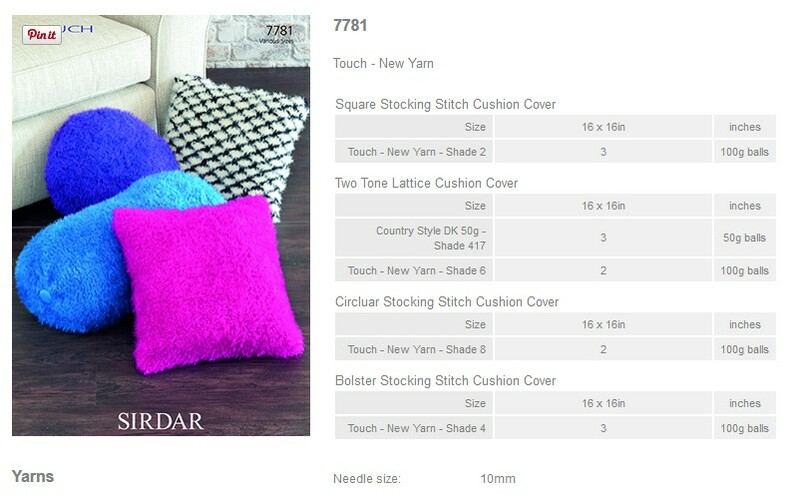 7781 - Cushion Covers using Touch Leaflet with designs for Square stocking stitch cushion cover, Two tone lattice cushion cover, Circluar stocking stitch cushion cover and Bolster stocking stitch cushion cover using Sirdar Touch. 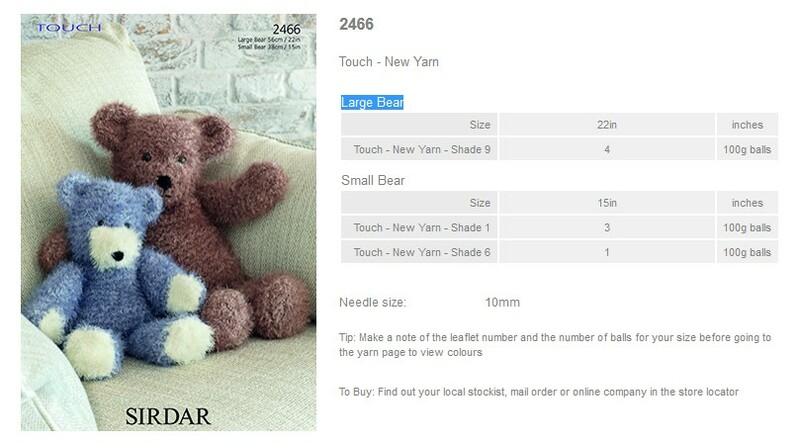 2466 - Large/Small Bear using Touch Leaflet with designs for small and large bears using Sirdar Touch.